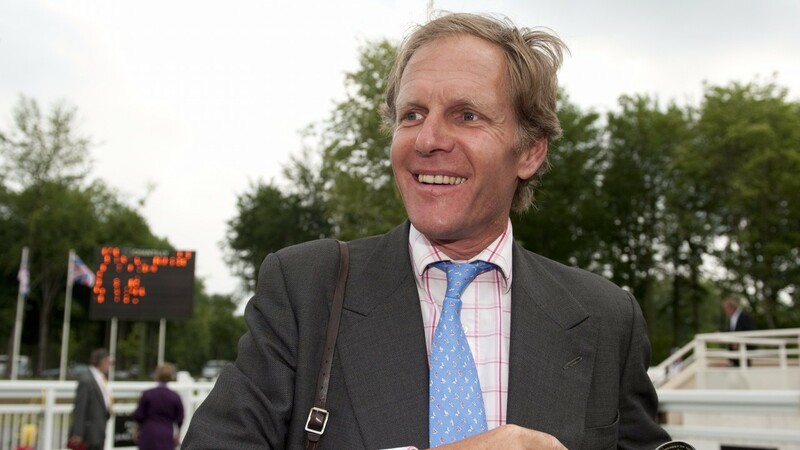 Michael Bell has no doubt been bowled over by congratulatory messages following Big Orange's thrilling Gold Cup victory, but not many will have meant as much as the one he received from his beloved Manchester City. The trainer was sent a letter to his Fitzroy House stable in Newmarket from the club offering its congratulations on a "spectacular race and well-earned win" with the letter signed by former player and club ambassador Mike Summerbee. 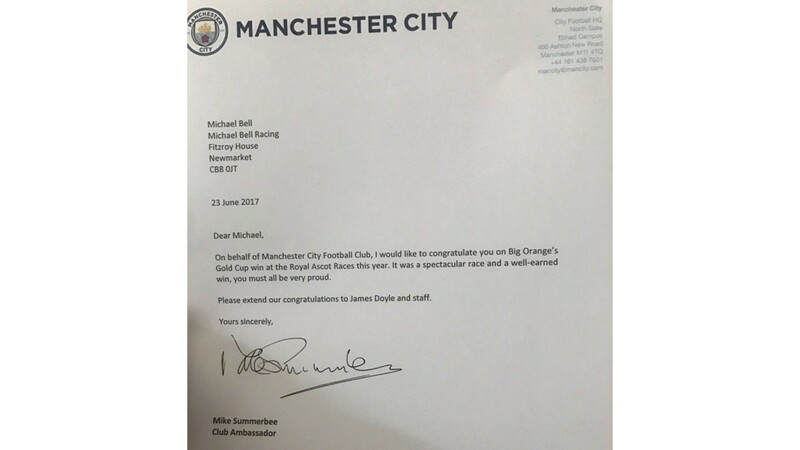 Bell tweeted a copy of the prized post with the accompanying message: "Thanks @ManCity for the letter about Big Orange. Let's hope I can write back to you when we clean up in 2018." The Bell name is synonymous with City thanks to legendary midfielder Colin Bell, who was nicknamed Nijinsky due to his renowned stamina. In an interview with Manchester City TV, the trainer said: "I was born in 1960 and super City were doing very well in the late 60s and one of the best players was Colin Bell, who I used to pretend was my uncle."